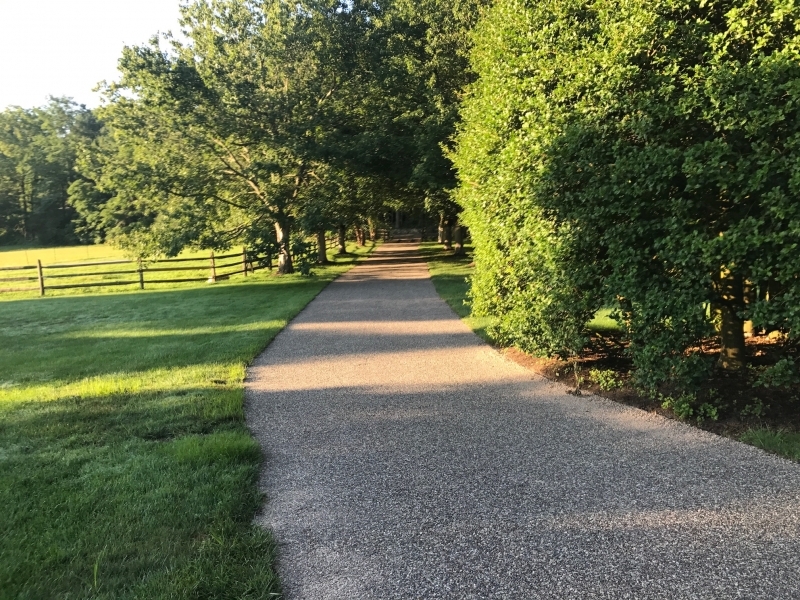 Oil & Chip - Arthur DeSolis Paving Contractor, Inc. 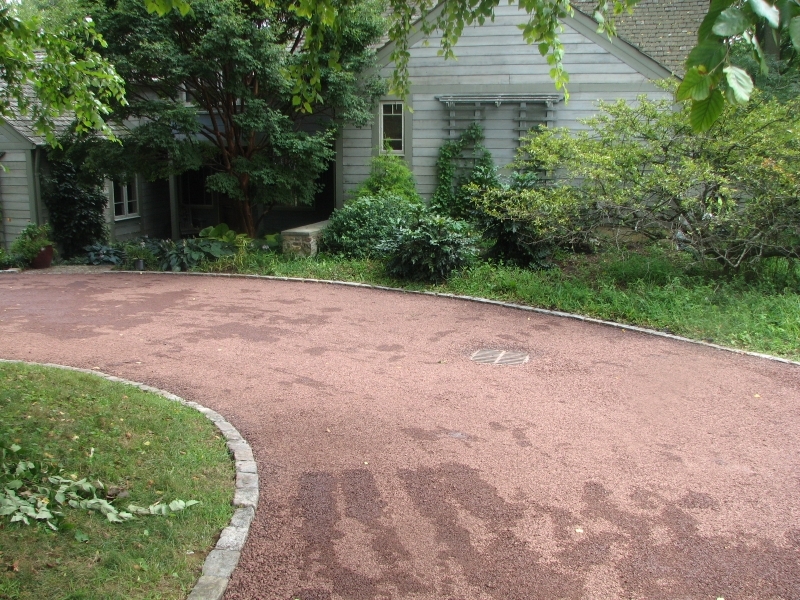 This application is usually put on top of an existing asphalt surface. 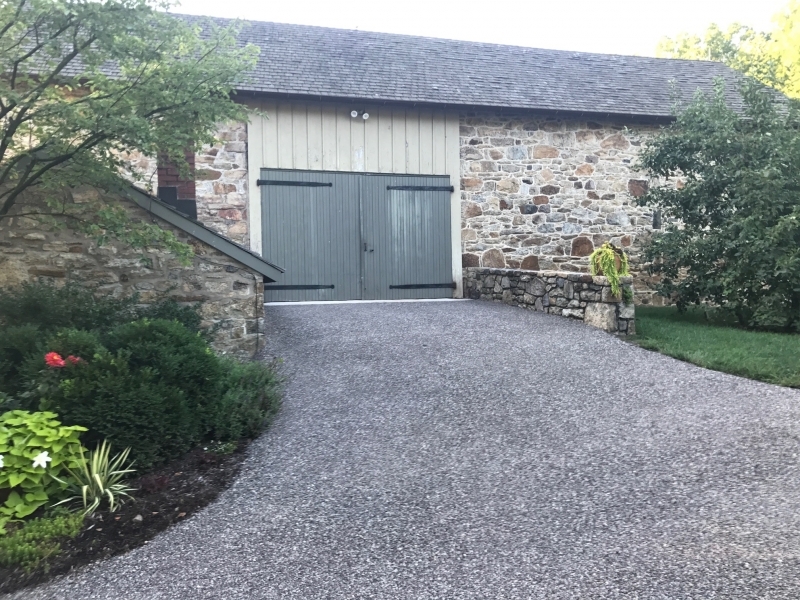 The hot liquid asphalt is applied to a clean surface and 1/2” crushed stone is spread and rolled into the liquid asphalt. 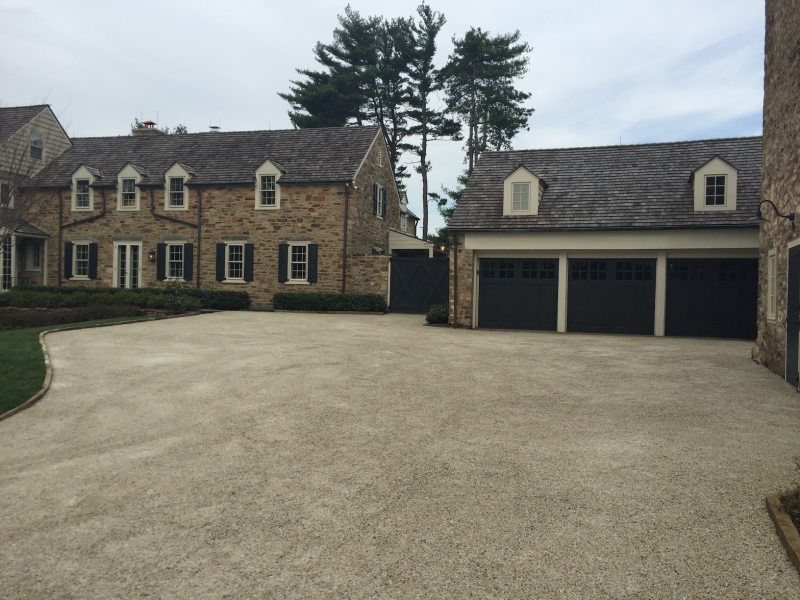 Over the years we have developed a process for residential oil & chip application. 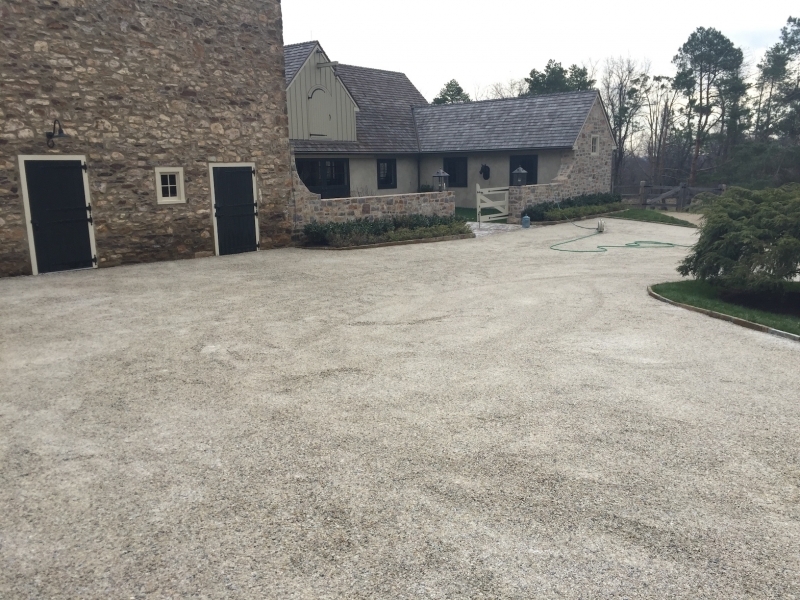 The customer will first choose the type & color of chip, we do not recommend using any type of river rock or pebbles as it causes adhesion issues. 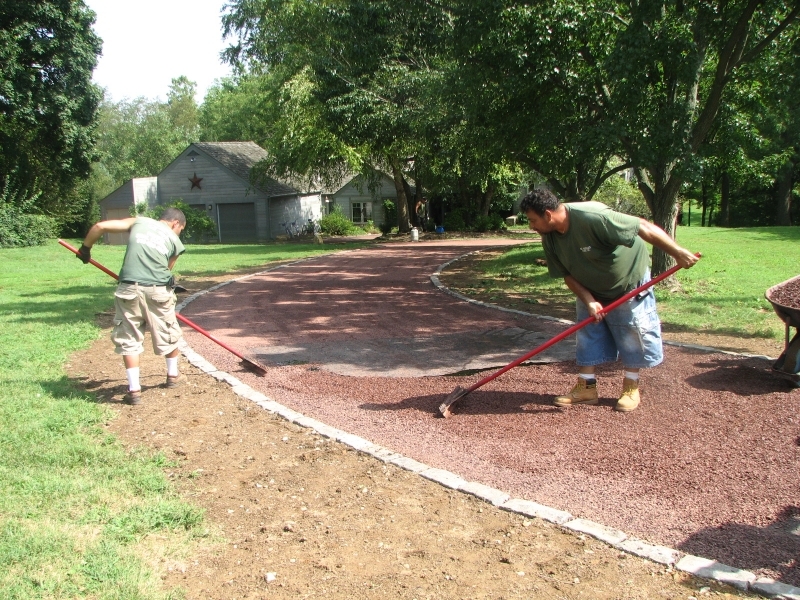 The process starts with repairing or replacing existing asphalt surface. Once surface is cleaned of all loose debris we then apply AC 20 (liquid asphalt) to the surface and distribute 1/2 chips which are then rolled with a 2 ton roller. This process gives the look & feel of an old country lane. This surface does have it’s downfalls, first when plowing snow it is imperative that plow blade be keep 1″ above the driveway surface. 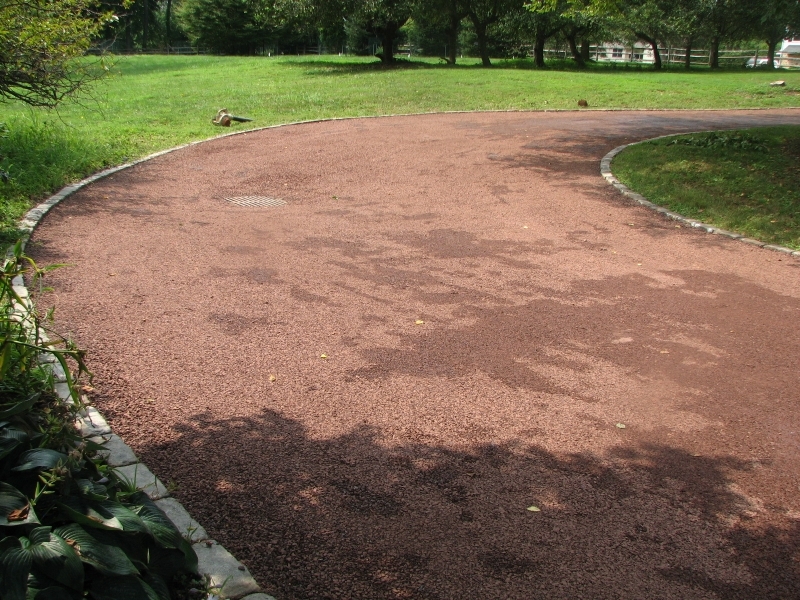 Once new surface is installed excess stone can scatter of become dislodged with every day traffic. Lastly, the season for this process is short generally June through September.